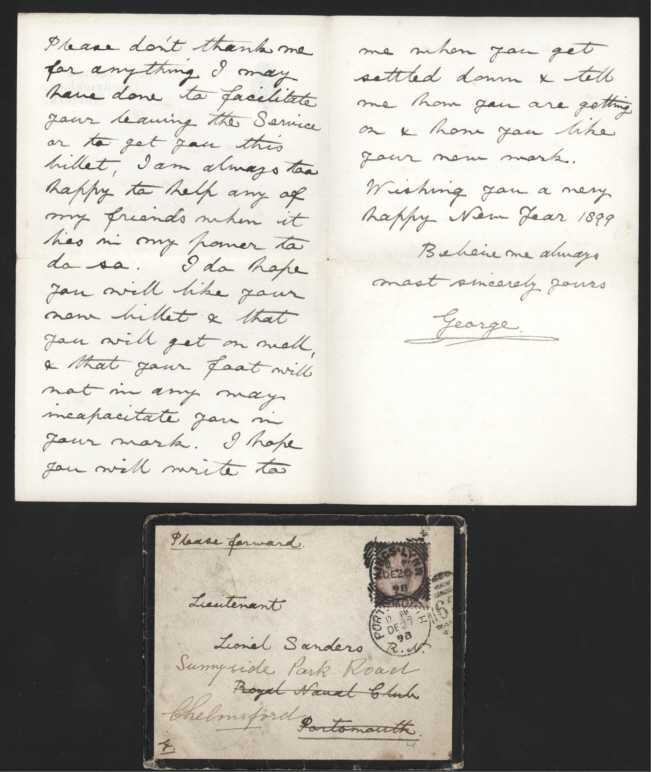 Autograph Letter Signed “Believe me always most sincerely yours George”, to Lieutenant Lionel Sanders (one of his friends from the Navy), about Sanders’ appointment as a Deputy Prison Governor, saying he is always ready to help any of his friends, wishing him a happy 1899. 3 pp. 7 x 4½ inches, in fine condition. York Cottage printed stationery. With the original autograph envelope, signed G by Prince George lower left, postmarked Kings Lynn and Portsmouth, Sandringham backstamp. York Cottage, Sandringham, 26 December 1898. King George V (reigned 1910-1935).